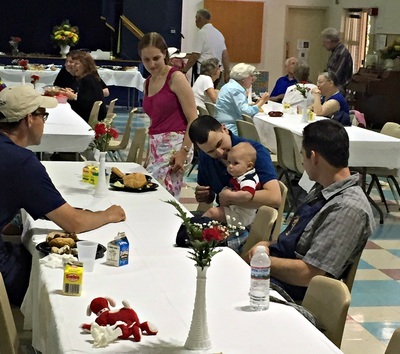 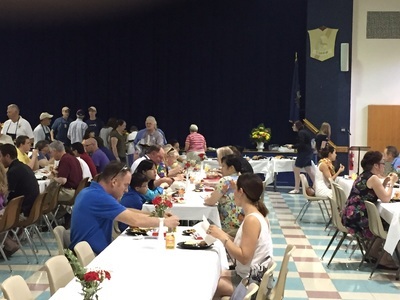 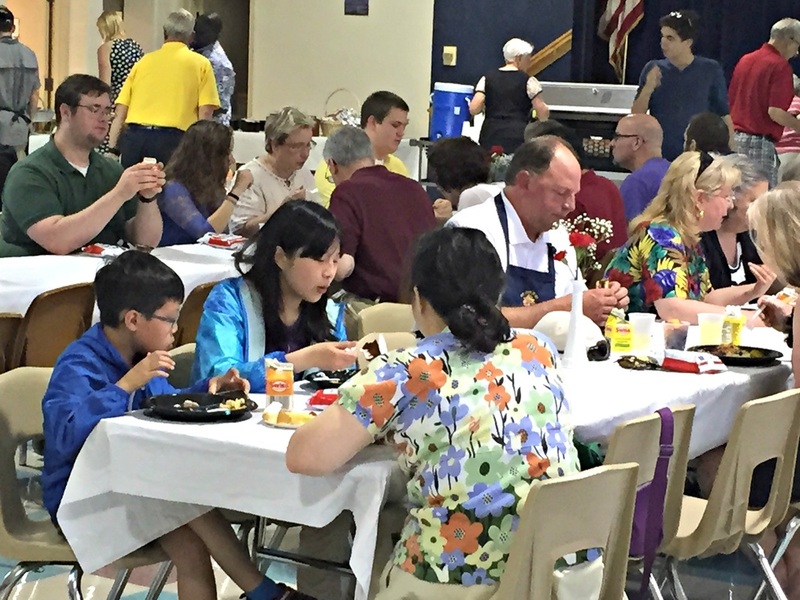 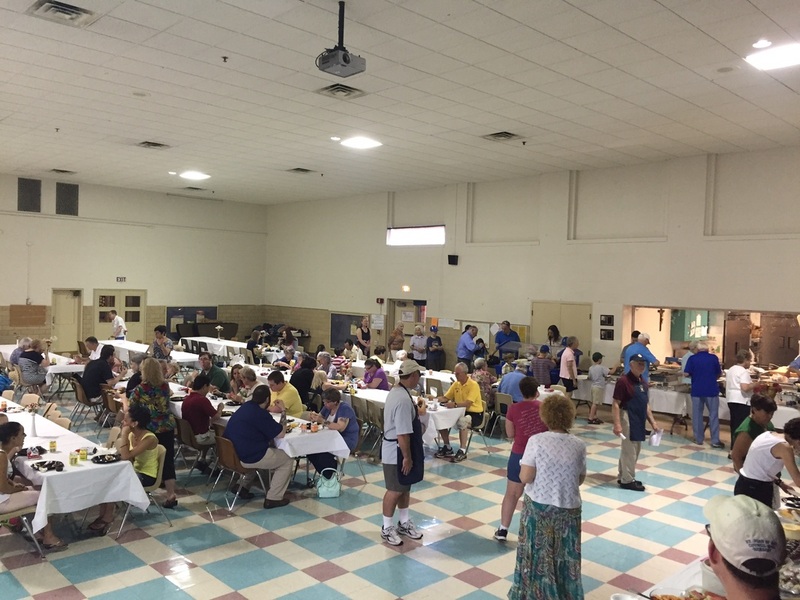 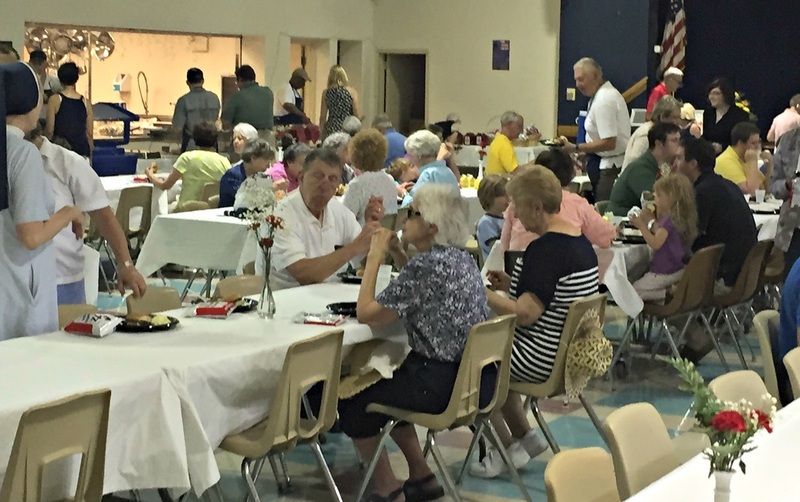 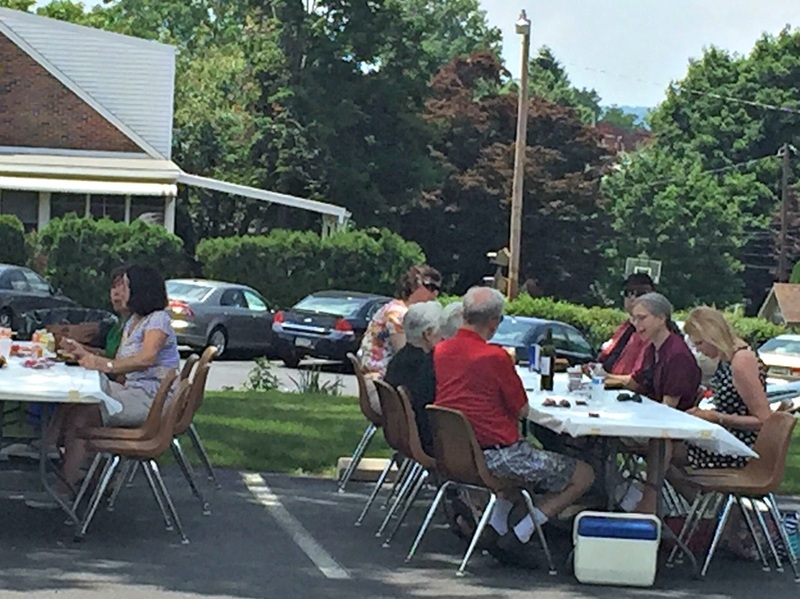 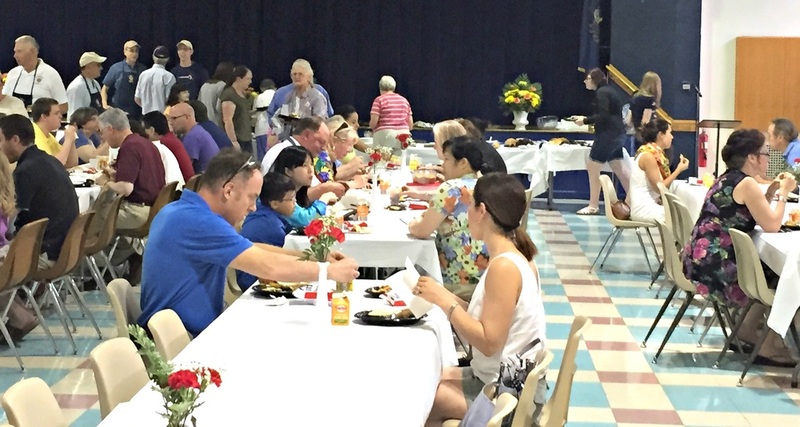 Parishioners gathered on Sunday, May 31st following the Noon Mass for our Annual Parish Picnic. About 200 people joined us for great food, fellowship and a large dessert buffet! 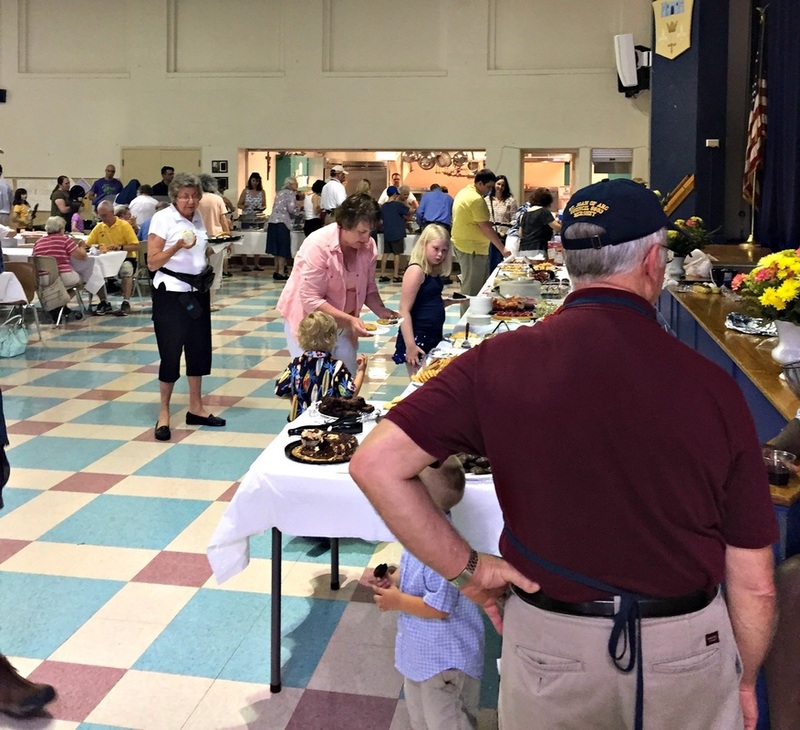 The pending weather relocated people to the cafeteria where many people enjoyed the blessing of air conditioning. 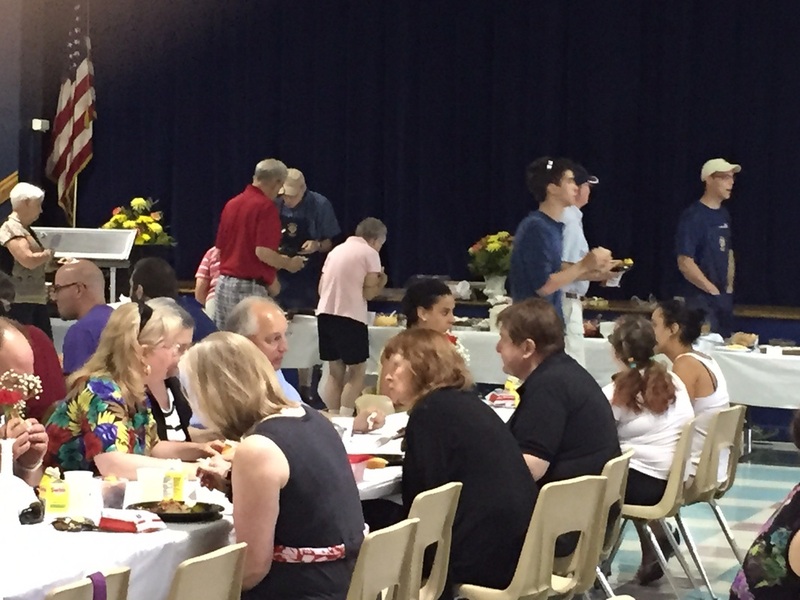 We would like to extend two very special thank you's: The Knights of Columbus once again assisted the parish staff by answering the call to go above and beyond. 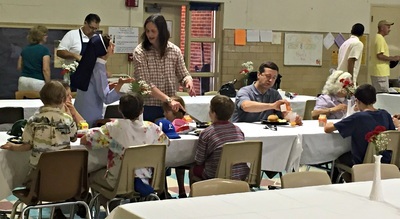 They so graciously grilled, helped serve the food and then assisted with all the clean up afterwards. We truly would not have been able to have this event without your assistance. 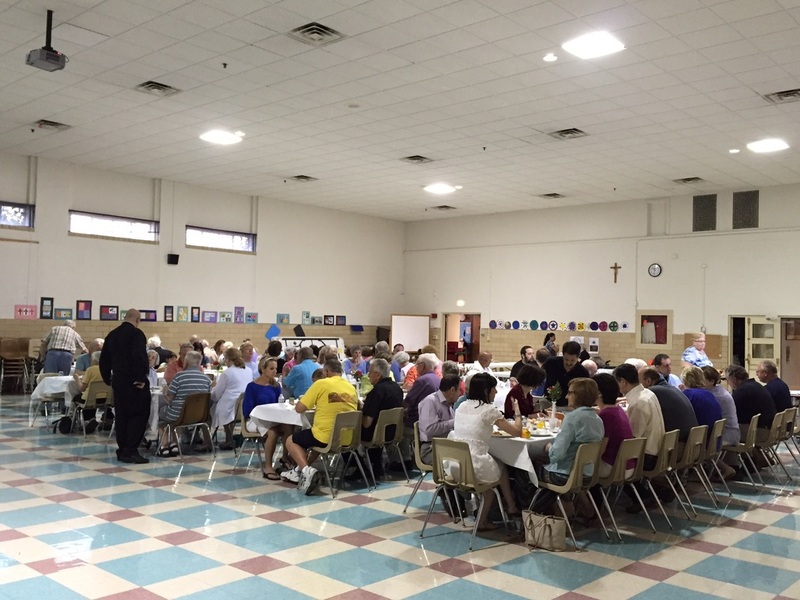 Please know we feel blessed to have you as part of our parish family. 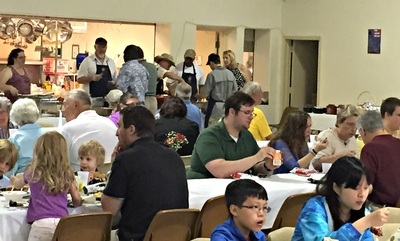 If you were one of many who enjoyed the mouth watering pulled pork, that was generously brought to us by a familiar face. 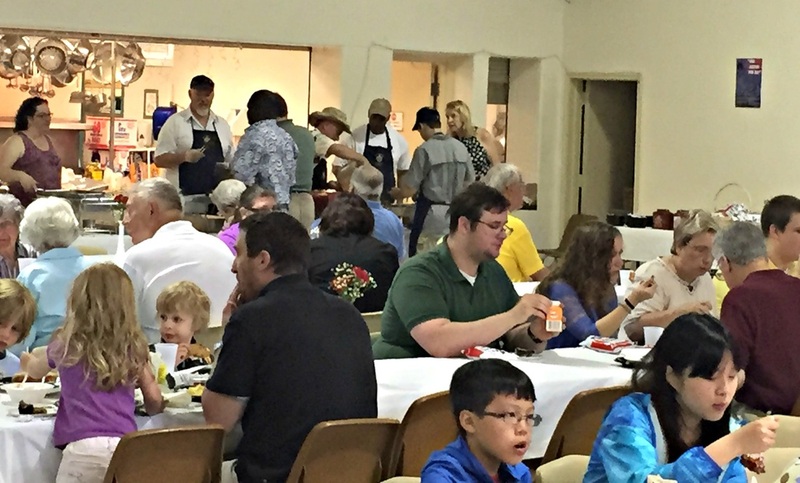 Pig Tails BBQ has become a familiar face to our parish after gaining a loyal following at our Parish Festival last year. 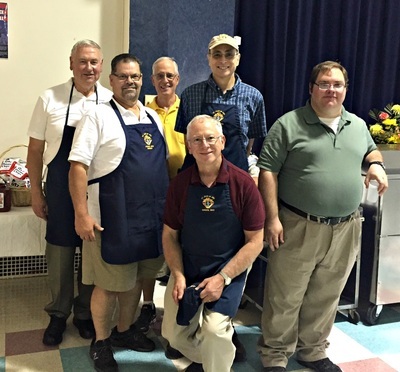 They so generously worked with us to make On a side note, they will back at the Festival again this year!